This is a fantastic way to try the machines and see if one of these babies are right for you. Play on them, learn about them, make a project to take home - see all they are capable of doing. We will have over 12 machines in the shop - so hands on will be for everyone. Don't wait and miss this opportunity - sign up today! Does longarm quilting interest you, and you'd like to learn more about it? Or do you just want a review of longarm basics? 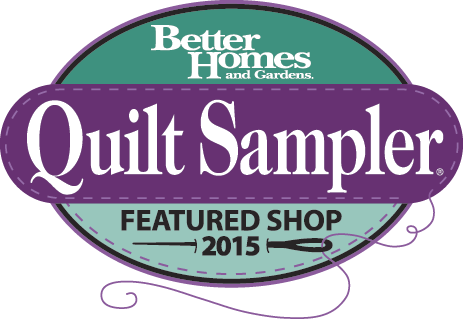 This class removes the mystery of longarm quilting by explaining machine and frame elements and features, how to load a quilt, and vital facts about thread, needles and tension. 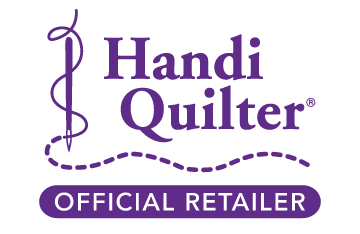 Handi Quilter longarm and frame systems come in various sizes for every budget, are userfriendly because they are designed by a quilter, for quilters - just like you! specific area. Learn how drawing and muscle memory contribute to beautiful free motion quilting, and how to create stunning designs. For this project you will learn how to piece, couch and bind - all on the longarm and will go home with a finished project. safely with the ruler base and Sure Foot, and how to achieve accuracy with the markings. The wide variety of Handi Quilter rulers will inspire you to new design heights.